We’re only a few weeks away from #FXD2014. 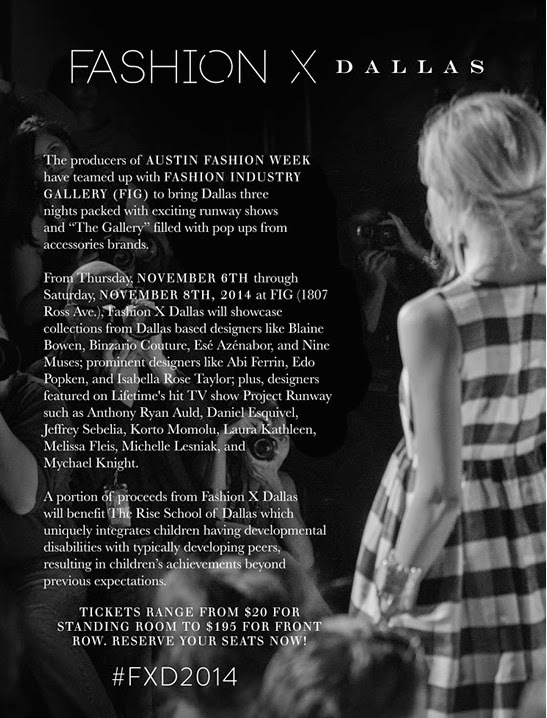 As part of the Host Committee I’m very honored to be a part of the most exciting fashion event to hit Dallas this Fall. Be sure to buy your tickets before they sell out, so you don’t miss out! If you buy your tickets before the 16th, you’ll also be instantly entered to win an upgraded VIP experience! For more information or to purchase tickets, visit http://ow.ly/Cs4Tp.